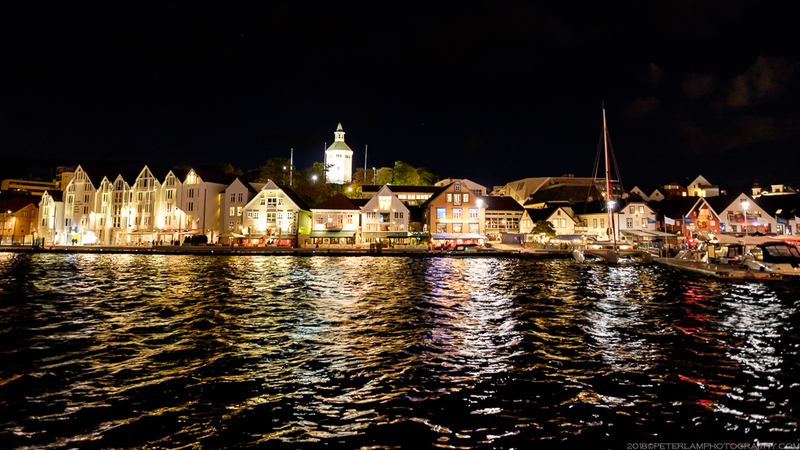 Stavanger is Norway’s third largest city, and fourth largest by population. 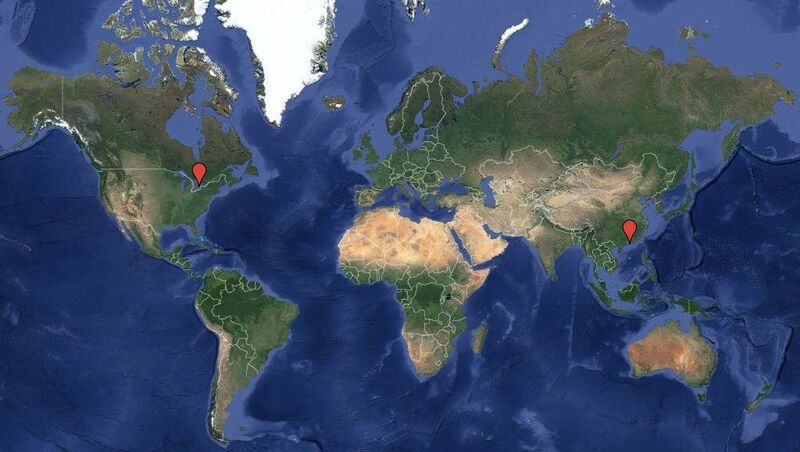 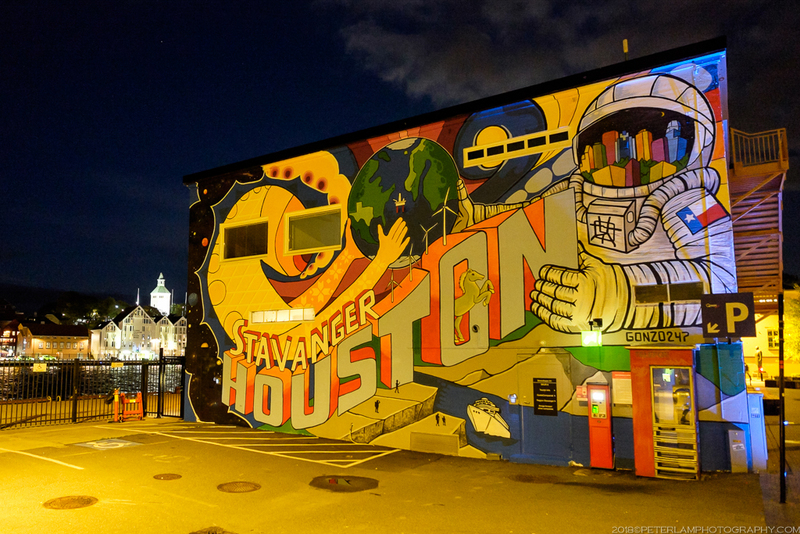 It is also known as the country’s oil capital, home to energy behemoth Statoil and numerous off-shore drilling sites. 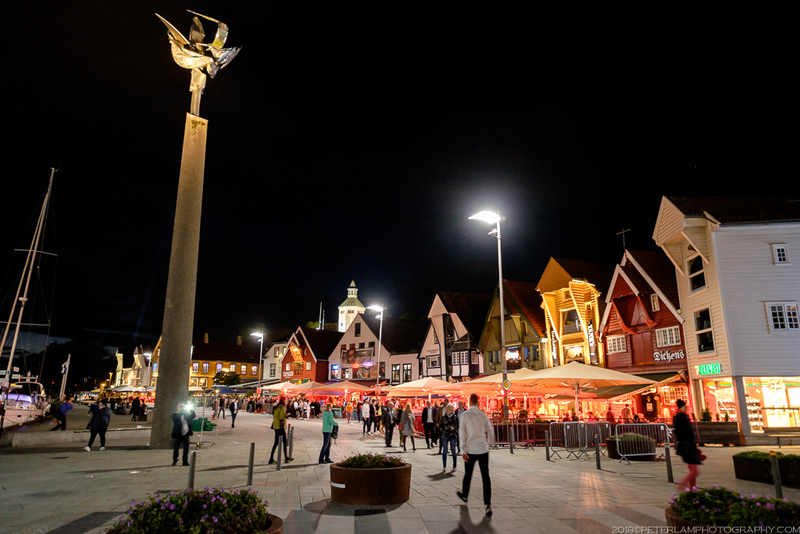 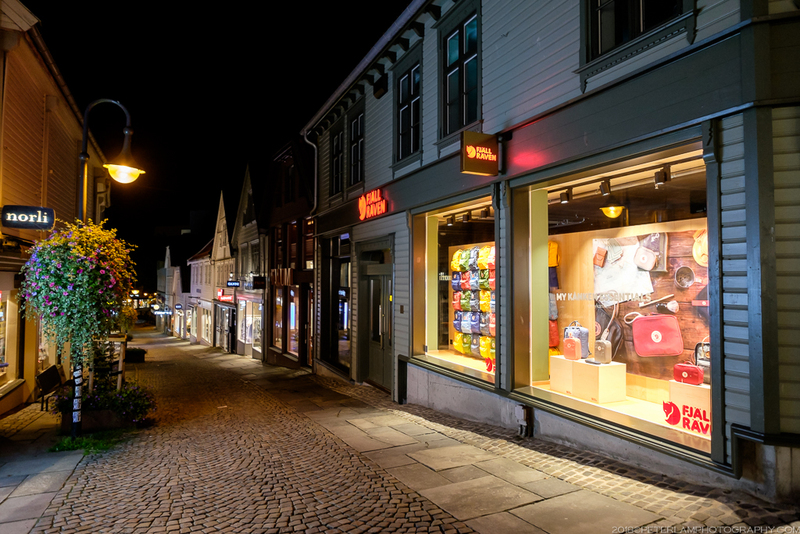 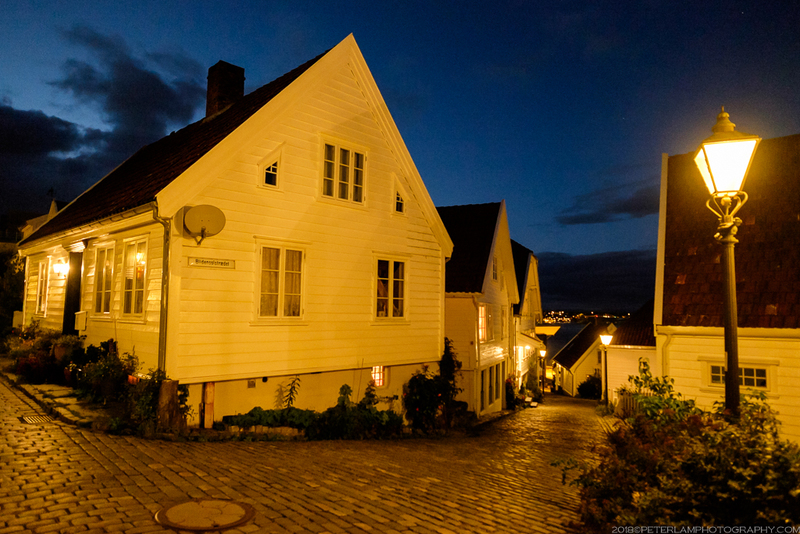 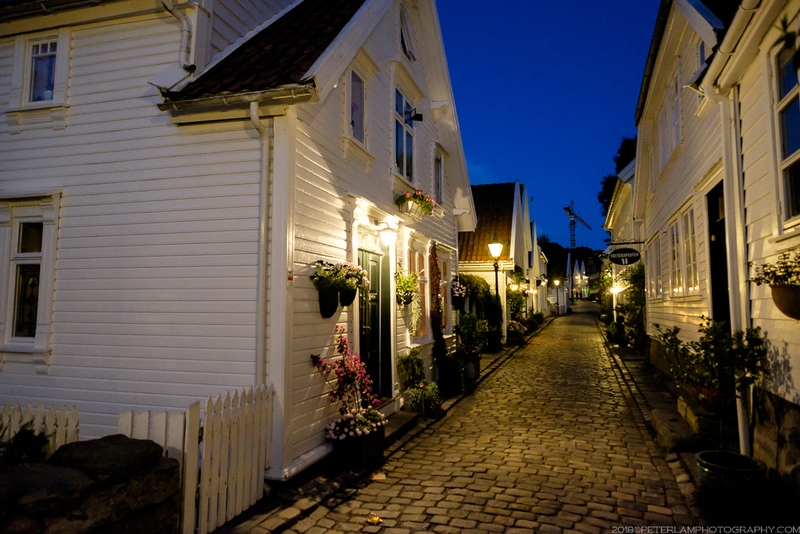 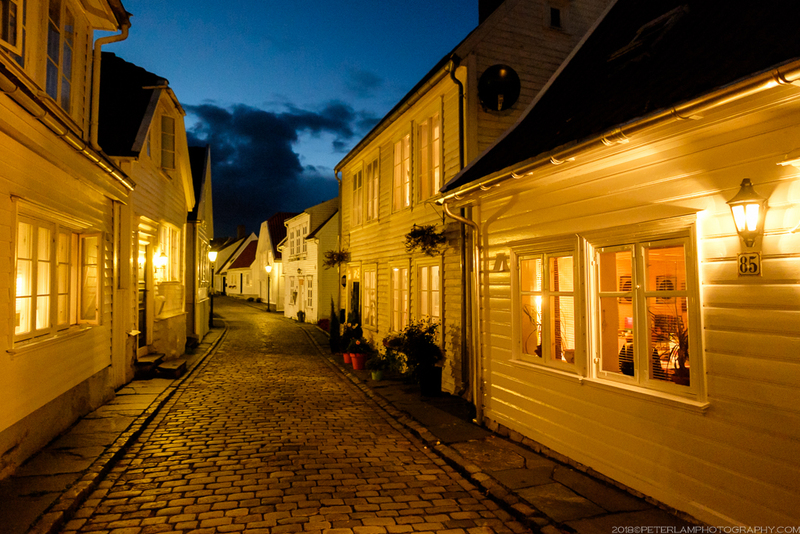 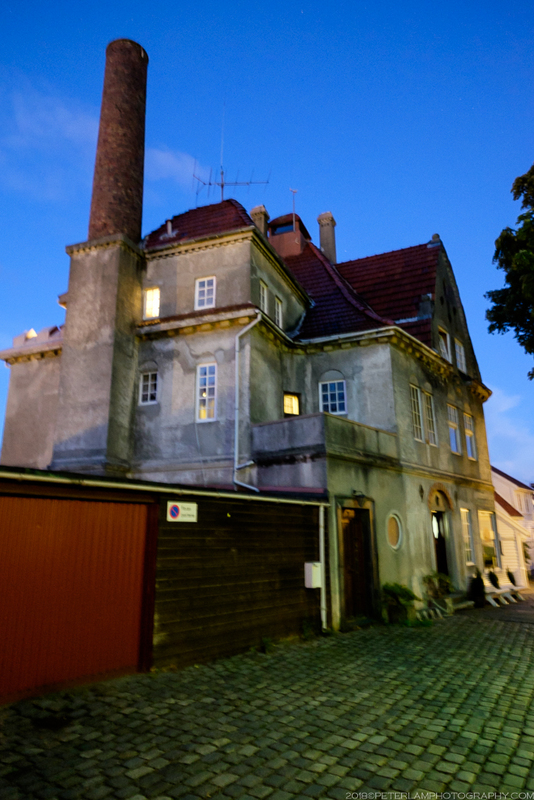 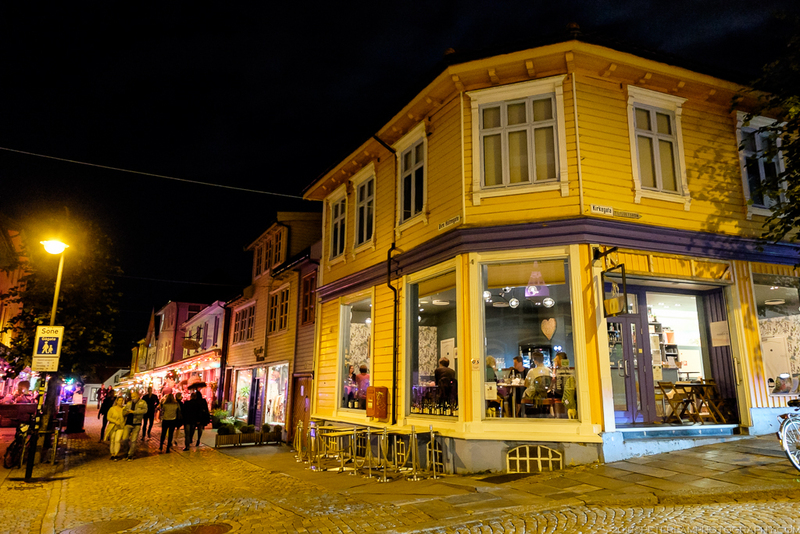 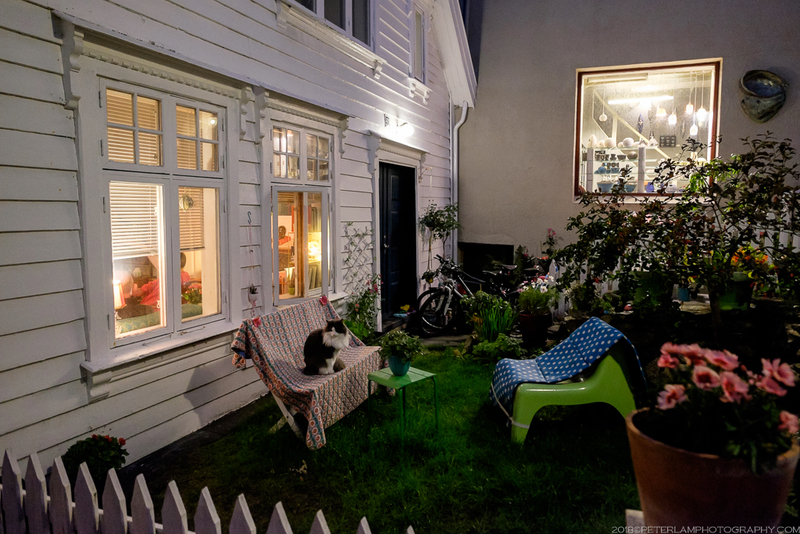 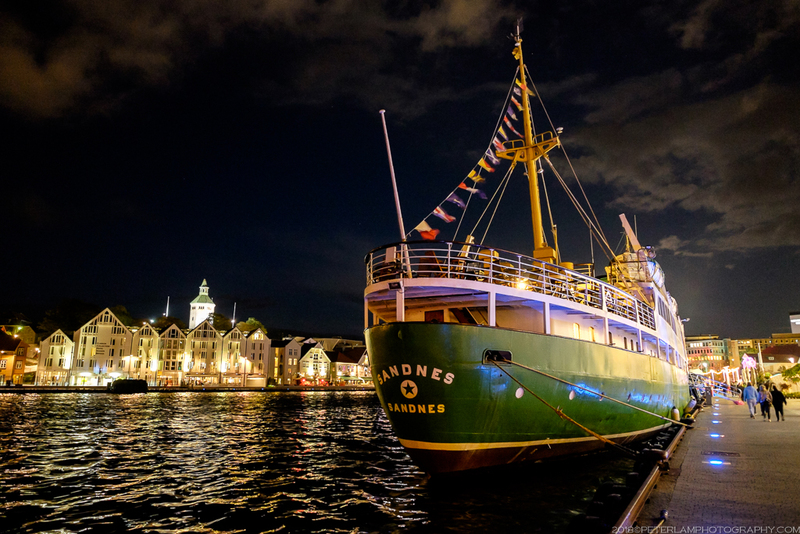 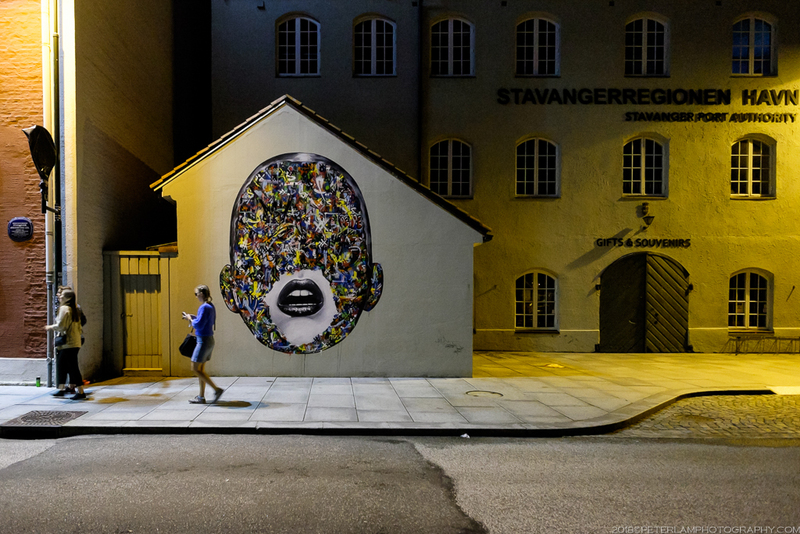 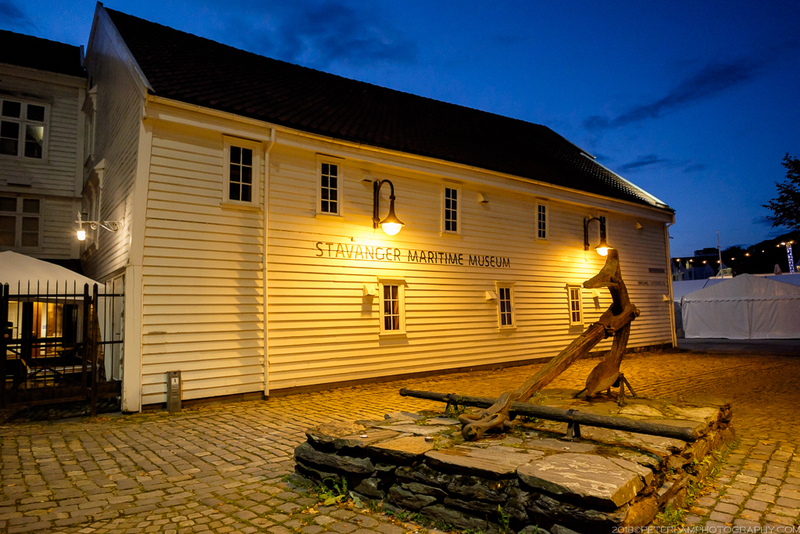 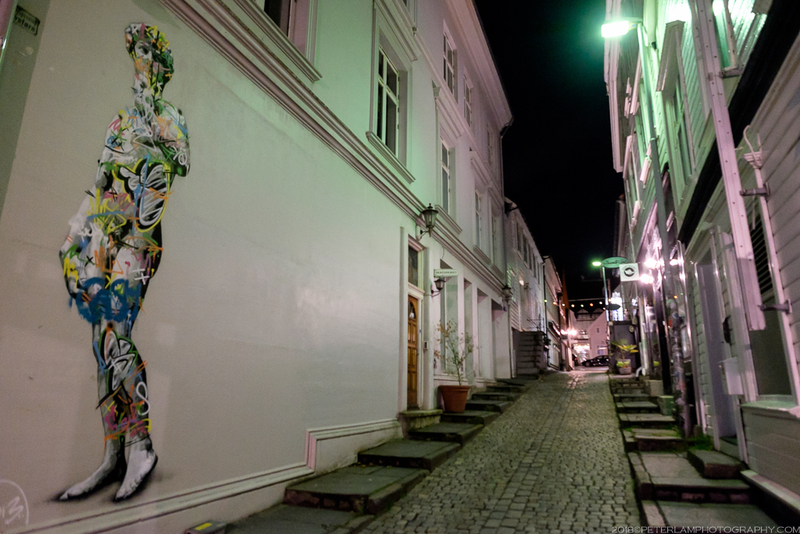 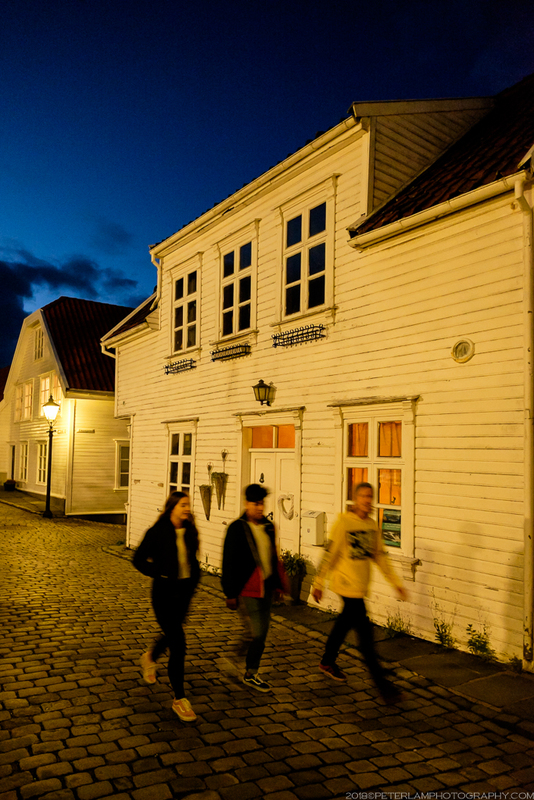 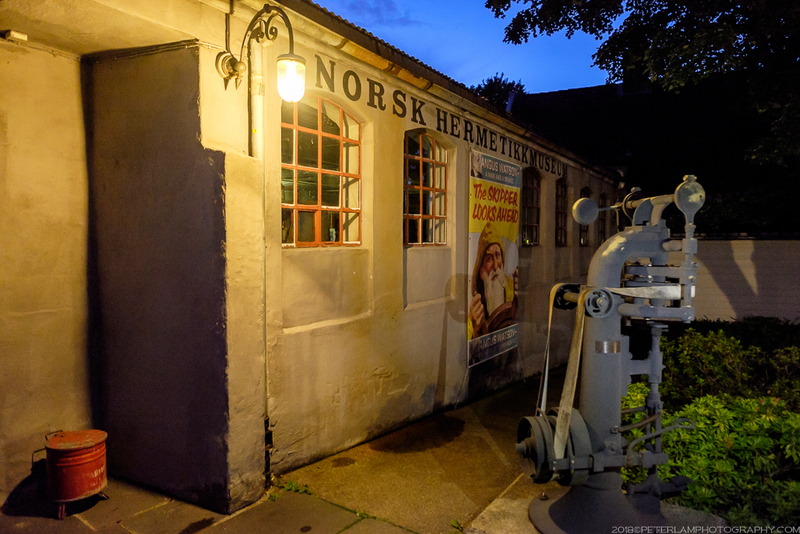 However, in contrast to the sprawling suburbs of Greater Stavanger and neighbouring Sandnes, the central core retains an intimate small-town feel, much in part due to a high concentration historical 18th- and 19th-century detached wooden houses. 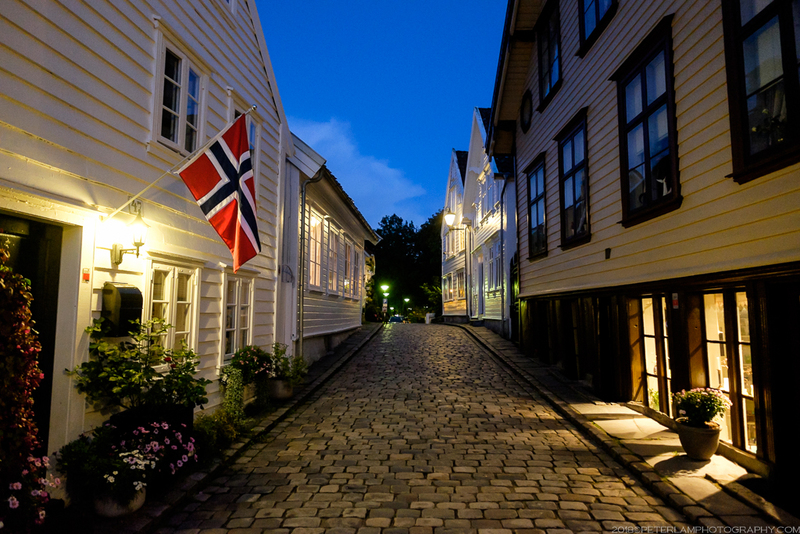 These protected buildings are considered part of the city’s cultural heritage, and the cobblestone-lined streets of the old city (Gamle Stavanger) are a popular tourist destination. 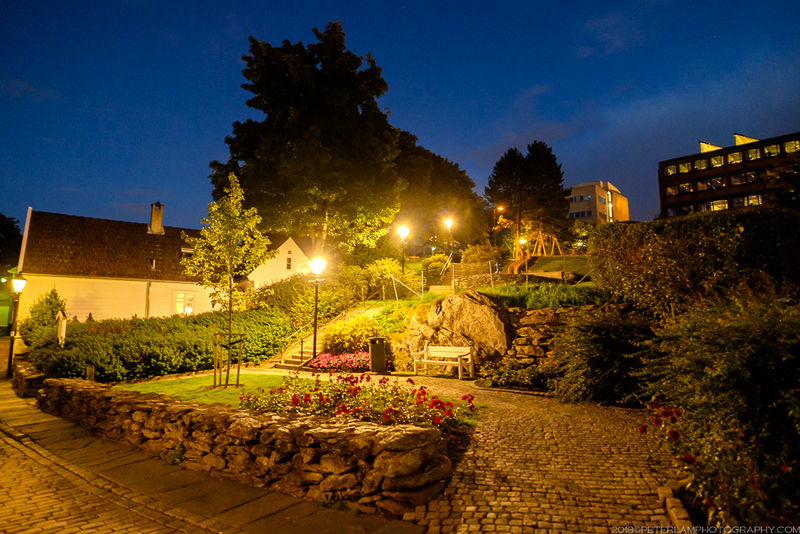 After our hike to the Pulpit Rock, we spent some time exploring these quaint, and very exclusive, residential areas. 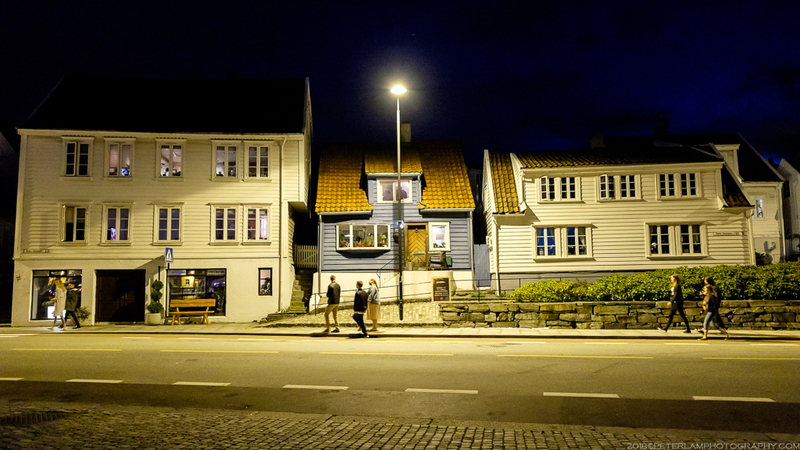 Stavanger’s central core is easily walkable, and my aunt and cousin (themselves local residents) were happy to show us around their city. 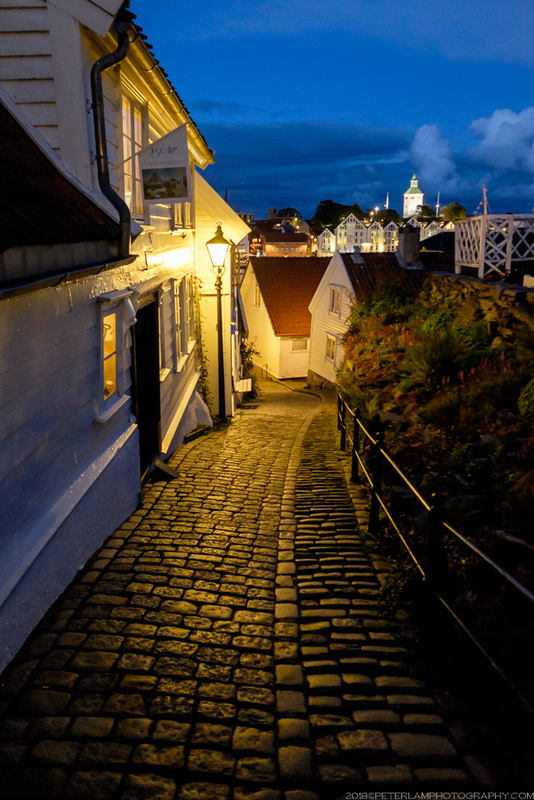 It was a beautiful summer evening and the picturesque laneways were practically empty – a contrast to the big crowds of hikers on the trail earlier that day. 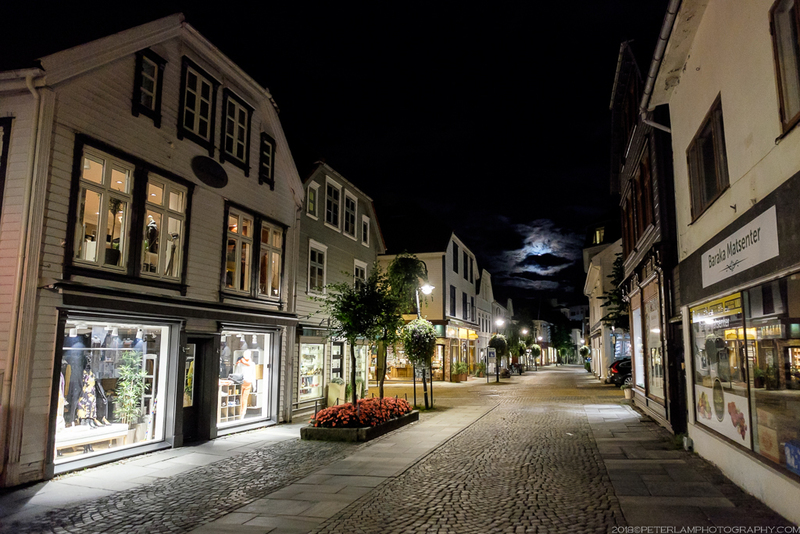 On this Saturday night, it seemed everyone was down at the waterfront entertainment district having a drink, so we had the streets to ourselves!